With nicknames ranging from "the Devil's lettuce" to "God's gift," cannabis is without question a polarizing plant. It has been glorified and damned, shunned and embraced, characterized as both "scourge" and "miracle." Over the past two decades, public opinion has gradually shifted from outright condemnation to growing curiosity and optimism. Both ancient accounts and modern research suggest its usefulness in a vast array of health applications, and 28 states (including Pennsylvania) have taken notice, installing medical marijuana programs despite prohibition under federal law. In this overview, we'll look at the sociopolitical factors that precipitated cannabis's historical fall from grace and its rebounding reputation, as well as the forthcoming Pennsylvania medical marijuana system and the prospect of full legalization in the future. Where Did Weed Go Wrong? The United States has blazed an unusual trail with its cannabis policies thus far, a path that John Hudak outlines in his 2016 guidebook Marijuana: A Short History. 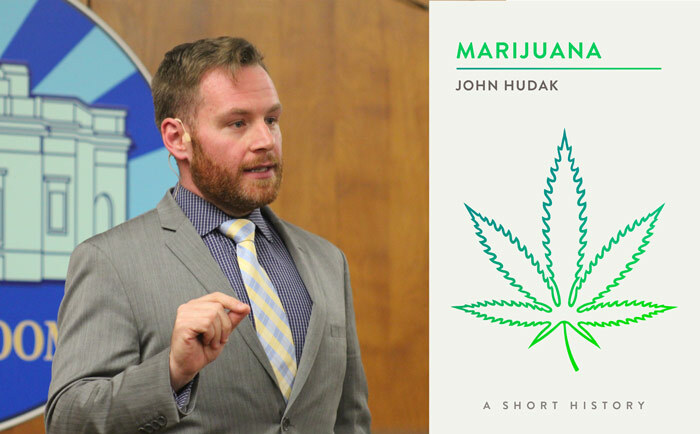 Hudak, a senior fellow in governance studies and deputy director of the Center for Effective Public Management at Washington's Brookings Institution, summarizes it as such: "Over the course of the nation's history, the plant has gone from a required crop to an accepted medical treatment to a government-regulated pharmaceutical to an illegal drug to a somewhat legal medicinal option to a locally legal and regulated substance." "Over the course of the nation's history, the plant has gone from a required crop to an accepted medical treatment to a government-regulated pharmaceutical to an illegal drug to a somewhat legal medicinal option to a locally legal and regulated substance." Marijuana, as it has become known, is produced from the dried flowers of two species, Cannabis Sativa and Cannabis Indica. The flowers contain the heaviest concentration of the psychoactive compound delta-9-tetrahydrocannabinol (that's a mouthful even before the munchies set in, so it's usually shortened to THC), which is most responsible for the "high." Effects vary from species to species and strain to strain, but generally they include: elevated heart rate, increased appetite, the release of the "feel-good" chemical dopamine in the brain, and altered or heightened perception, especially in higher or more potent doses. Together with the stems and leaves, the plants contain over 400 unique compounds, including 60 or more cannabinoids, most notably cannabidiol (CBD) and cannabinol (CBN). The full extent of their pharmaceutical properties has yet to be understood, and research is slowly ongoing. Cannabinoids mimic the action of molecules in the human endocannabinoid system, which plays a crucial role in homeostasis, in particular counteracting biochemical imbalances – a sort of inbuilt "damage control." Therefore, scientists are excited about the range of therapeutic possibilities the drug might offer. Abusing marijuana, as with any other substance, carries consequences – long-term heavy use may impact the hippocampus, a portion of the brain involved in memory formation (particularly verbal memory). The effect is more pronounced when chronic use begins during adolescence, when the brain is still developing. Additionally, marijuana smoke is a respiratory irritant and contains carcinogenic materials. The National Institute on Drug Abuse (NIDA) has yet to directly correlate marijuana smoking with lung cancer, however. The scientific community almost unanimously agrees that cannabis is less dangerous than tobacco and alcohol, which are readily available without a prescription and implicated in a host of health issues – and deaths (480,000 annually for tobacco and 88,000 for alcohol). The Drug Enforcement Administration has documented zero incidents of cannabis overdose – virtually impossible, considering that a fatal THC dose of 15 grams is 1,000 times greater than the effective dose of 15 milligrams (compared to alcohol, where just 10 times the effective dose can be lethal). Cannabis-related deaths do occur, not due to the toxicity of the drug itself, but poor judgment stemming from its side effects – for instance, motor vehicle accidents or fatal falls (THC affects working and spatial memory in the short-term). If marijuana isn't massacring the masses, then how did it become such a societal pariah? The early 20th century marks the turning point. Following the Spanish-American War of 1898 (ending Spanish rule in the Americas) and subsequent Mexican Revolution (which peaked in the 1910s), Mexican refugees poured over the border by the hundreds of thousands. The influx fanned the flames of an imperial rivalry dating back to Europe, between the Protestant Anglo-Saxons and the Catholic Spaniards. The United States' W.A.S.P. power base held a condescending attitude toward Latin Americans, viewing them as inferior in all aspects – less motivated, less industrious, and less stable morally and emotionally. Propagandists sowed fears that the Mexicans' cannabis cigarettes ("marijuana") would saddle "pureblooded" Americans with these same deficiencies. Bureau of Narcotics Director Harry J. Anslinger was perhaps cannabis' most outspoken detractor early on, playing on mainstream America's racist and xenophobic sentiments. He described marijuana as a "scourge" from Mexico, corrupting American society and endangering its youth. The hysteria of the era is captured perfectly in the infamous 1937 film Reefer Madness (a.k.a. Tell Your Children), wherein marijuana cigarettes are depicted as instantized degeneracy. Previously upstanding white schoolchildren are transformed into savages with a single puff, helpless to repress violent and sexual impulses. Despite the opening credits' claim that "no attempt was made to equivocate [the] soul-destroying effects" of the "violent narcotic … more dangerous than heroin," in 2017, Reefer Madness's exaggerations rate as laughable (in fact, the film also served as inspiration for a tongue-in-cheek musical soon to be staged at Dramashop). Nonetheless, the social stigmas established back then have been difficult to overcome, and consequent legislation only fortified those difficulties. The Marihuana [sic] Tax Act of 1937 effectively outlawed cannabis in the United States, requiring anyone dealing in the production or transport of marijuana to register with the government and purchase a tax stamp from the Department of the Treasury. The law was later ruled unconstitutional in the 1969 case Leary vs. U.S. Harvard Professor Timothy Leary was apprehended at the U.S.-Mexico border, charged with transporting marijuana he did not purchase a tax stamp for. Leary (correctly) claimed the Tax Act violated his Fifth Amendment right against self-incrimination – although he had an obligation to pay the tax, purchasing the stamp would be admitting possession of an illegal substance. 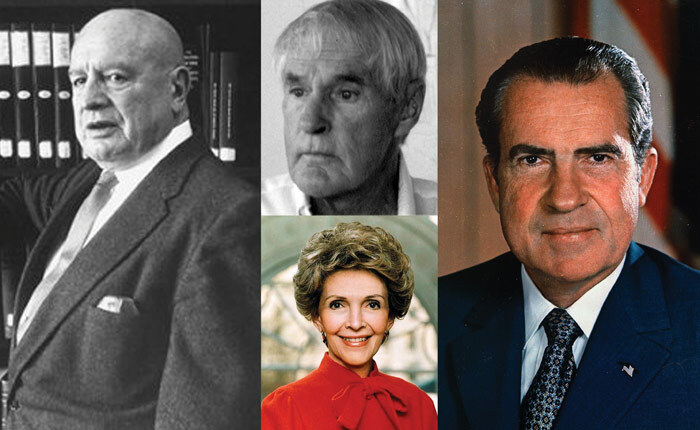 President Richard Nixon would stand to suffer no such embarrassments as he declared his War on Drugs. Hell-bent on reining in America after the turbulent 1960s, Nixon worked with Congress to enact the Controlled Substances Act (CSA) of 1970, which has influenced cannabis policy ever since. The CSA brought the U.S. in compliance with the United Nations' Single Convention on Narcotic Drugs, which classified drugs into five "schedules" according to their inherent risk. During the initial classification process, Congress filed marijuana as a Schedule I substance, which implies: 1) a high potential for abuse, 2) no currently accepted medical use or treatment, and 3) a lack of accepted safety for use under medical supervision. Congress did not consult the medical or scientific communities in making its designations and the FDA was uninvolved. Another lasting legacy of the Nixon presidency was the formation of the DEA, which consolidated all preexisting drug enforcement programs into one under the Department of Justice. The DEA expanded the War on Drugs beyond U.S. borders, with a budget that ballooned to $2.882 billion dollars in 2014 from $557 million (adjusted for inflation) in 1974. The War on Drugs intensified in the 1980s under President Ronald and First Lady Nancy Reagan, with laws raising penalties and mandatory minimum prison sentences for offenders as well as allocating more resources toward drug education. Reagan's successor, President George H.W. Bush, incorporated the Office of National Drug Control Policy (ONDCP), headed by the "drug czar." Marijuana-related arrests soared to over 700,000 annually by the end of Bill Clinton's presidency, thanks in large part to the 1994 Crime Bill (increasing criminalization and funding for local law enforcement). Interestingly, the first president to admit to trying marijuana would also be the first to face the nation's still-evolving medicinal cannabis conundrum. Prior to the 20th century, cannabis was accepted treatment for a variety of maladies – it was the third most common active ingredient in patent medicines and was listed in the United States Pharmacopeia in 1854 (i.e., it was legit). During the country's colonial period, land-owning Virginia and Massachusetts farmers were mandated to set aside a parcel for hemp: non-psychoactive cannabis spun into cloth, rope, textiles, and other materials. The CSA passed under Nixon, however, makes no distinctions – cannabis is a Schedule I substance, and resolutely illegal with no accepted use. The CSA would become the centerpiece of the battle between federal and state law as medical (and later recreational) marijuana programs began sprouting up nationwide. Numerous appeals for cannabis policy reform were made throughout the previous century, including the 1944 La Guardia Report (under New York City mayor Fiorelli La Guardia), the 1963 Advisory Commission on Narcotic and Drug Abuse (under President John F. Kennedy), and the 1972 Shafer Report (under former Pennsylvania Gov. Raymond Shafer). These investigations all arrived at similar conclusions: Marijuana was not so much of a grave threat to public health or society as to warrant such severe legal repercussions. Either by intention or circumstance (JFK was assassinated just days after the report was delivered to him), none of these reports affected change. The devastation wrought by the AIDS epidemic in the late '80s and early '90s, however, would. The crisis shook the city of San Francisco like no earthquake ever had, and its beleaguered gay population desperately sought reprieve. Many of those afflicted found some measure of relief in cannabis, which stimulated the appetite in the later wasting stages of the disease and came without the horrible side effects of many prescription medications. Businessmen, activists, and organizers banded together to push for Proposition 215 (a.k.a., the Compassionate Care Act of 1996) to legalize cannabis for medical use in the state of California. It passed with 55.6 percent of the vote, with 5,382,915 in favor. Other Western states quickly followed suit, with Oregon, Washington, and Colorado establishing their own largely unregulated programs, leading to a region derided as the "Wild West of Weed." Federal raids were frequent, but medical marijuana supporters were undeterred, and with such widespread use, the CSA proved difficult to enforce. Clinton-era drug czar Barry McCaffrey threatened to revoke doctors' rights to prescribe if they recommended marijuana, but one Dr. Marcus Conant took the issue to court and prevailed. The Supreme Court upheld the 2002 Court of Appeals ruling that the government could not punish doctors for merely recommending medical marijuana. With that, the floodgates opened. To date, 28 states possess either an operational or pending medical marijuana program. One year ago, Senate Bill 3 was passed by the Pennsylvania House of Representatives and decreed law. Gov. Tom Wolf proclaimed, "I am proud to sign this bill that will provide medical relief to patients and families who could benefit from this treatment." 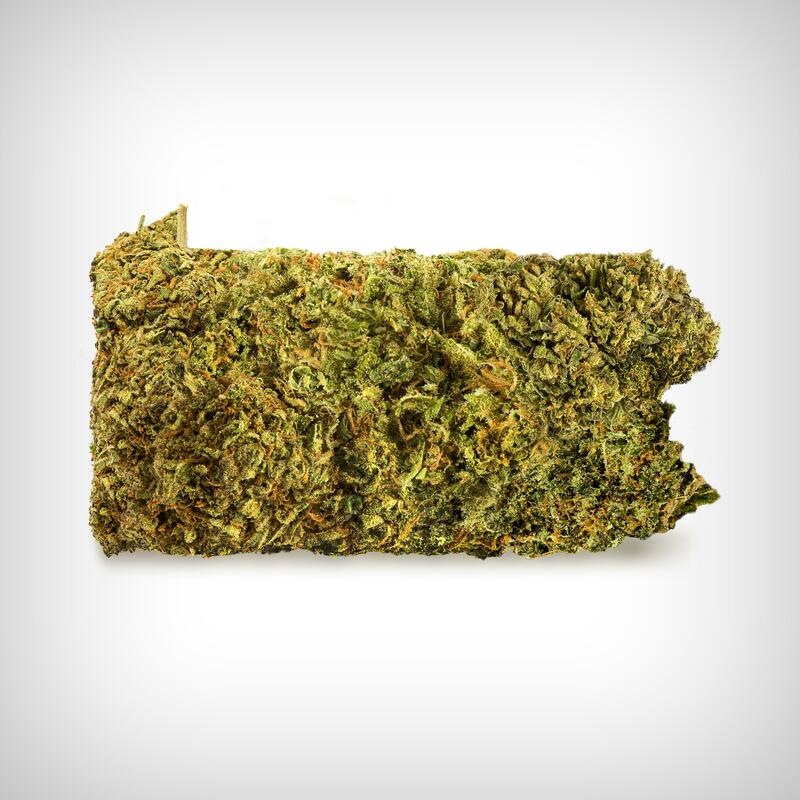 Only those under a physician's care for a serious medical condition (to see what qualifies, visit health.pa.gov) are eligible to access marijuana through designated state dispensaries. Patients may appoint a caregiver who can pick up the medication on their behalf (up to five patients can appoint the same caregiver). Ineligible persons in possession of cannabis would still be subject to fines and incarceration, as it has not been decriminalized. Once the program is fully implemented (the target is April 2018), the state will issue up to 25 grower/processor and 50 dispensary permits (with fees of $210,000 and $35,000 apiece, respectively). Dispensary applicants must provide proof of $150,000 in capital. For growers, that figure is a whopping $2 million ($500,000 of which must be on deposit with a financial institution). Applications for the first wave of permits were due March 20, and approvals for up to 12 growers/processors and 27 dispensaries will be announced in late June. The Department of Health has dictated where these will be located geographically, dividing the state into six regions. Each region will initially accommodate two growers, while the dispensaries will be allocated according to earlier population studies. Erie falls within Region 6, which includes Erie, Crawford, Warren, Mercer, Venango, Lawrence, Clarion, Jefferson, Clearfield, Forest, Elk, Cameron, and McKean Counties. One dispensary permit each will be awarded to Erie County and McKean County. The permit holder will be allowed to open a total of three dispensaries, so long as the first is located within the county assigned by the state. The exact locations of both grow operations and dispensaries have yet to be determined. Every aspect of the program will be closely monitored and strictly regulated by the state. Thorough background checks will be conducted for both growers/processors and dispensaries, and anyone involved in the supply chain must enroll in a two-hour training course dealing with handling, record keeping, security and safety, and diversion prevention (that is, distribution to non-patients). Quarterly reports will be collected on marijuana sold (growers), purchased (by dispensaries), and dispensed (to patients/caregivers), and that data will be aggregated to establish fair standards on per-dose price. At the grow facility, every seed and plant must be logged into an electronic tracking system and daily records of growing conditions must be maintained. Concentrations of THC and CBD between specimens must remain consistent and their percentages clearly marked on the packaging of product dispensed. Primary dispensaries must have a licensed physician or pharmacist on duty during all operating hours. 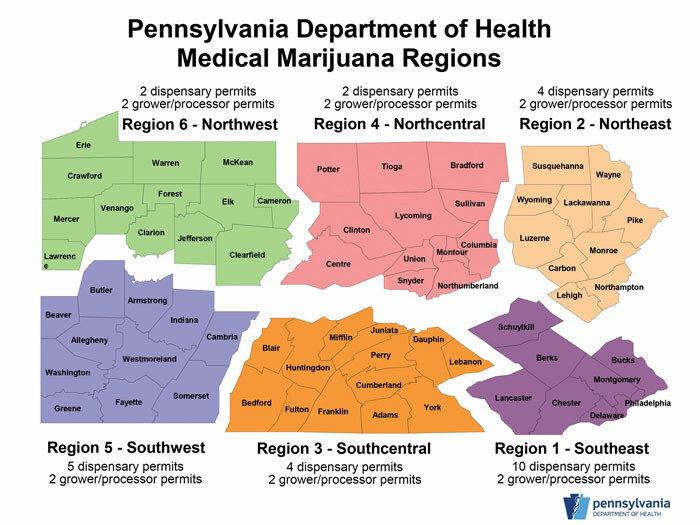 Secondary dispensaries (satellites to the state-assigned location) may substitute these personnel with a physician's assistant or certified nurse practitioner. Transportation of product may only occur between the hours of 7 a.m. and 9 p.m. Any product that goes missing must be documented and any that causes adverse effects is subject to recall. "It is a very tightly-controlled process," says Laura Guncheon, public relations director for former state Sen. Sean Wiley, who collaborated in a uniquely bipartisan effort to push the law through. "This is medicine and will be treated as such. It is engineered within very specific parameters for a consistent, high quality product." By and large, the overwhelming majority of American adults support medical marijuana – in fact, nearly nine out of 10 (86 percent, according to a 2014 CBS poll). 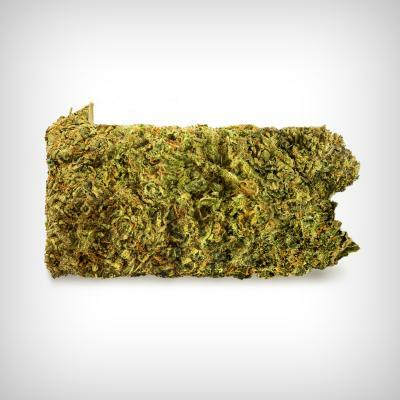 A 2015 poll by Quinnipiac University revealed that 88 percent of Pennsylvanians were in favor. To this, state Sen. Daylin Leach (D-Montgomery County) remarked, "You can't get 88 percent in a poll of almost anything. If you'd ask people if you want to be eaten by wolverines, less than 88 percent would say no." The prospect of legal adult recreational use is far more contentious, however. In January, Leach introduced Senate Bill 213, which would allow purchase of cannabis in state stores (similar to liquor) and home-grows of up to six plants, of which three may be flowering/mature at any given time. Public consumption would be disallowed and driving under the influence would be penalized (as with alcohol). Two others – Sharif Street (D-Philadelphia County) and Auditor General Eugene DePasquale have endorsed the bill thus far. DePasquale estimates legalization would generate $200 million in additional revenue, which would go toward an estimated deficit of $600-700 million, according to an article on PennLive.com. The tepid response contrasts national trends – per the 2016 Gallup poll, 60 percent of adults favored legalization, most overwhelmingly younger Americans (Millennials – 77 percent, Gen X – 61 percent). Advocates make several arguments for reform – personal rights and freedom, racial justice (arrests are skewed against blacks, although use amongst whites is nearly equal), displacement of the illegal market, product safety and regulation, and economics (cutting enforcement/judicial/corrections costs, tax revenue, and employment and innovations that would come with the industry). However, Hudak says, it has to make sense for the state: "You really need the right alignment of stars. You need a public that supports the measure, the right combination of legislators – liberals and libertarians, in particular. It is not enough to agree with it; legislators need to see a purpose for it, because it is a political challenge and a risk. It will happen in some states sooner than others." Colorado, Washington, Alaska, Oregon, and D.C. have already legalized. California, Nevada, Massachusetts, and Maine will launch recreational programs within the next year. Pennsylvania, meanwhile, seems to have adopted a "wait-and-see" approach. Given the socially conservative rural areas that comprise the bulk of the state, it is not likely to happen anytime soon. Says Gov. Wolf: "We want to learn from the experiences of other states that have full legalization and I welcome discussion on this issue with the legislature." Pennsylvania will observe their successes and their missteps, and try to formulate a set of "best practices" from there. "The discussion can't simply just be about tax revenue," says Guncheon. "That would be irresponsible as there are public health implications, workplace safety questions, and the overarching question if the commonwealth is really ready." That is not to mention the tenuous coexistence of contradicting state and federal laws. The biggest obstacles on that level are the CSA, cannabis-averse Attorney General Jeff Sessions, and conservative majorities in both the House of Representatives and the Senate. Rescheduling cannabis would greatly disencumber and accelerate research efforts – as a Schedule I substance, the clearances and background checks required of handlers is exhaustive. However, the rescheduling process is a bureaucratic labyrinth worthy of Crete – moreover, it moves through the Attorney General's office, where Sessions is the proverbial Minotaur. Among other things, Sessions has said: "Good people do not smoke marijuana." It may be a while before the smoke clears on a definitive cannabis policy. It may be a while before the smoke clears on a definitive cannabis policy. For now, though, Wiley and others are pleased with Pennsylvania's impending ability to offer treatment to those in need. Clinical research may be scarce, but the testimonials have been plenty – and for many state lawmakers, that was motivation enough. "There is no stronger lobby than a mother with a sick child," says Wiley. "When that child goes from suffering hundreds of seizures each day, every day, to just a handful, that is enough research for me."